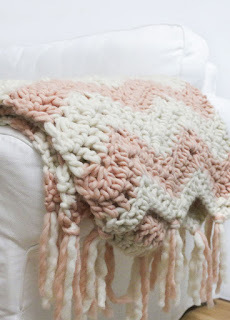 The Blonde Blogger: Meet the Chanel of Yarn - We Are Knitters Samasana Crocheted Blanket Kit Review and GIVEAWAY! 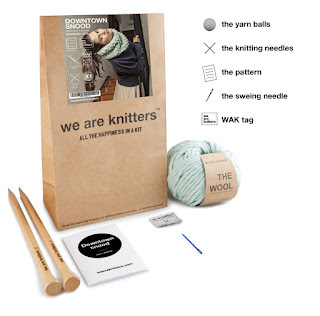 Disclosure: I received a complimentary Samasana Blanket Kit from We Are Knitters to facilitate this review. As always, opinions are all mine and are never influenced by comp items. Note: I usually link to specific items, but for purposes of this review/giveaway, the sponsor has requested that I use one specific link. Please click that link to navigate to any kits or other items you wish to view on their site. Thank you! Hello, my dear readers! How have you been? Yes, once again I'm apologizing for the length of time in between posts but as most of you are aware, I have been fighting a very long and debilitating health battle that has altered my life and my ability to function greatly. Between dozens of week-long hospitalizations, surgeries, doctor's appointments, medications that sometimes cause more problems than they help, and a host of symptoms affecting my entire body, these past few years have been some of the most difficult in my entire life. But enough about boring and depressing health stuff! That's not what you all have been waiting to read! This post isn't about doom and gloom and misery! It's a celebration of something I love dearly and a reward to one lucky reader from an amazing giveaway I'm offering with a highly popular company among fabric artists! More about the giveaway later on in the post. First, you must know what an exceptional giveaway this is because this is a very exceptional yarn! 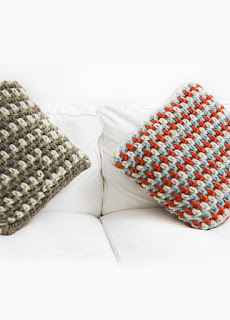 Years ago, I developed a curiosity about the art of crocheting. This was before YouTube, so my Learn to Crochet kit came with a booklet and CD-ROM for the computer. It took several tries but I finally got the hang of it. And after about a year, I began to master the art. Little did I know how important teaching myself to crochet would end up being later in my life. Because of my health battles (sorry, but this is relevant...bear with me for a moment), working outside of the home has been impossible, nor have I been able to continue my freelance writing career due to medications and brain fog from my illnesses. 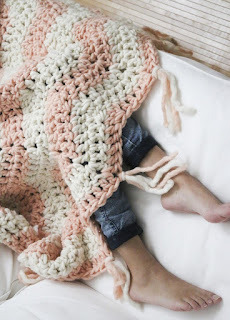 So, as I brainstormed for other ways to help provide for my family, I remembered my long-lost love of crochet. I still loved the art, but I hadn't picked up a crochet hook in some time. I decided to follow the infamous advice of "do what you love and you'll never have to work a day in your life," and started my own online crochet store, Luna Grace Boutique. I wasn't sure how it would go, but thankfully God has blessed my business abundantly. I have all the work that I can handle by myself right now and plan to eventually branch out to retail stores and hire other master crocheters to help fill orders, with a goal of hiring those who are also debilitated by chronic illness so that I can share the love and opportunity to earn an income while disabled. As a professional crocheter, I have become very familiar with the massive array of yarns available on the market, from 100% cotton, to wool, to acrylic and acrylic blends. I have used yarns made out of alpaca, silk, cashmere, and more. I have a few favorite craft store brands, as well as brands from my local yarn shop (LYS in crochet lingo). But there is one brand of yarn that always makes my jaw drop. 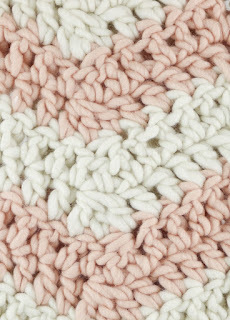 It is used by the best crochet bloggers and designers and I have been coveting it for quite awhile now. There isn't an ounce of acrylic in any of their yarns...they are all made with natural fibers, which speaks to their commitment to the environment. 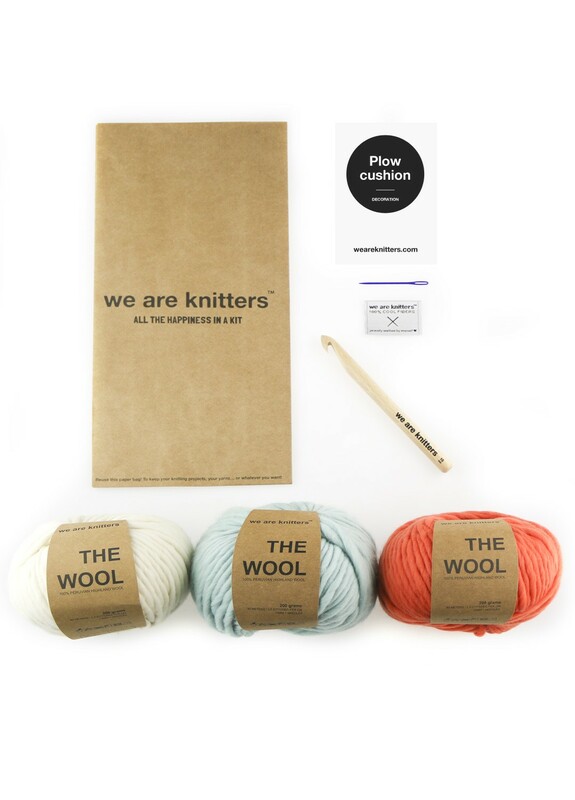 This brand is what I call the "Chanel of Yarn." 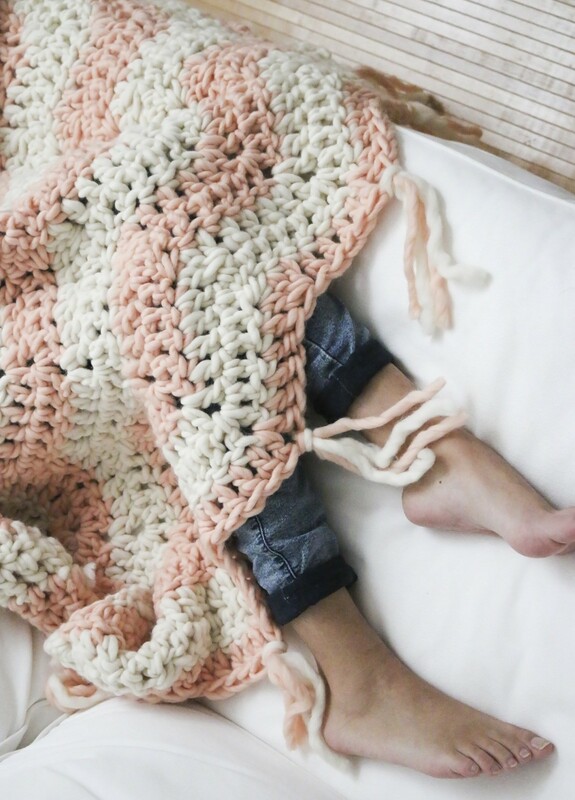 Just which brand is it that makes my heart flutter every time I see their gorgeous yarn and has me wishing I could make every single crochet kit they have to offer? Don't let the name fool you! 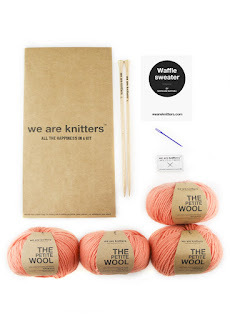 It's We Are Knitters (WAK) and let me tell you, there aren't any finer yarns or more stylish patterns anywhere, IMHO. And despite the name, they cater to crocheters as well. Yay! We Are Knitters has been featured in prestigious media such as Cosmopolitan, Elle, Glamour, Refinery 29, Vanity Fair, Vogue. And for good reason! Read on to find out why! 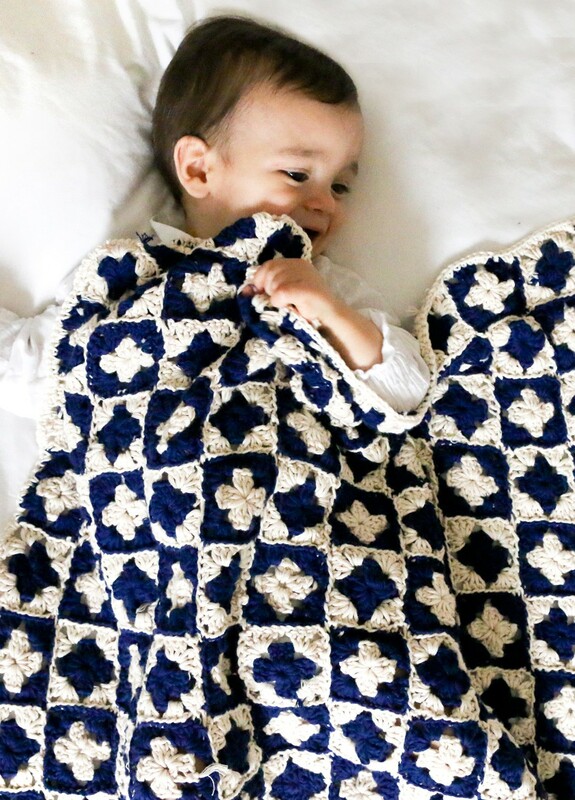 I reached out to WAK and they were gracious enough to send me their gorgeous Samasana Blanket Crochet Kit (see "Crochet Kits" to navigate to the Samasana Blanket Kit) for review. While you can purchase their yarn individually and use your own patterns, their slogan "All the Happiness in a Kit" is completely true! My husband placed the box in front of me while I was napping because he knew I wouldn't be able to resist waking up and digging in right away! 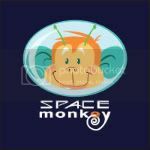 Click on "The Best Kits" here to see all of the glorious kits they have to offer, both knit and crochet (you can click on "Knit Kits" or "Crochet Kits" at the bottom right of their page to narrow down the kits). You might want to find your favorite for a very special reason, hint, hint! Keep reading to find out why! The Wool yarn- 100% Peruvian Highland Wool I seriously wish you could feel this yarn! It is not a typical scratchy wool. 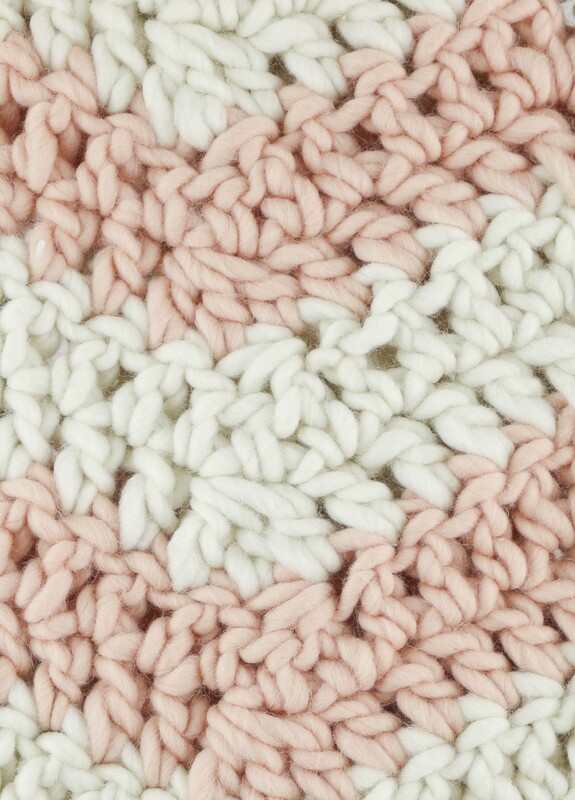 It is a super soft, squishy and thick/chunky yarn that feels like a cloud! 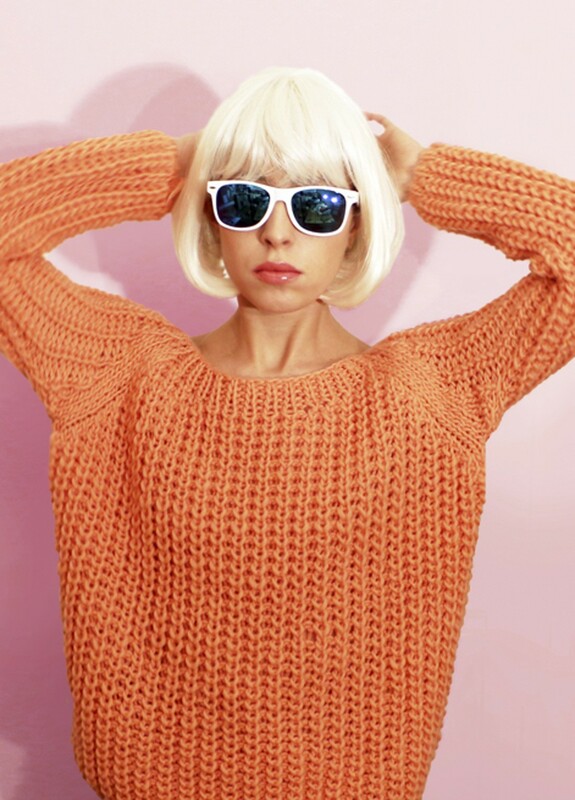 There are no artificial fibers in any of WAK's yarns. 4 balls of Salmon and 4 balls of Natural, or two other colors of your choice. The pattern- I love that it's printed on quality, thick pamphlet paper that won't squish up and crinkle like my patterns that are printed on regular paper do. Yarn needle- For sewing in those dreaded ends! WAK tag- An adorable tag to sew into your creation! 2 eco-friendly bags that you can use to store your blanket or any other items, such as yarn, patterns, books, etc. The Wool yarn is just too amazing for words. I fell in love with it when I saw it online, but seeing and feeling it in person? Just astounding! Each ball of yarn is much larger than it looked to be online: 200 grams/87 yards to be exact. My guess is that it's roughly a 6 weight based on its thickness, perfect weight for a Q hook! This is the type of yarn that not only will stand out when you wear your creations or have them on display in your home, but that will be a long-lasting heirloom piece that can be passed down from generation to generation, especially the blankets. Isn't that a gorgeous aqua blue? 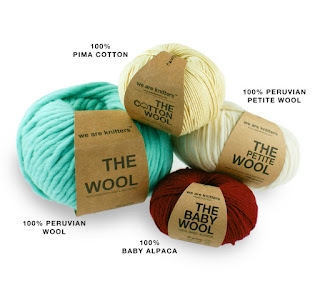 There are over 30 colors to choose from in The Wool! I am currently making an afghan for one of my customers using The Wool in Navy. Navy is a brilliant shade of dark blue that almost looks like purple in certain lighting and has a beautiful yet subtle sheen to it. At $24 a skein, you might have sticker shock at first, but it is worth every penny to have such high-quality, designer yarn that is eco-friendly, all-natural and made with 100% Peruvian Wool with no artificial fibers such as acrylic! If you've ever splurged on a handbag because you know it will last longer, is made of higher-quality materials than other handbags, and will stand out in a crowd, then you definitely should give WAK yarns a try! It's totally the same concept, only in terms of yarn instead of handbags...obviously, lol! It's an investment in yourself and your work that says, "You are worth it" when you gift it, or, if it's for yourself, then YOU are worth it! Subscribe to WAK's newsletter here to receive $12 off your first order as well as a free pattern! 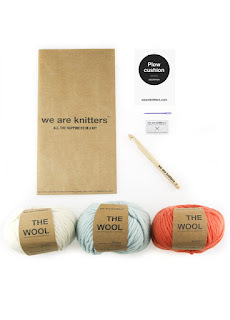 Click on "The Best Wool" here, then select "Kits of Yarn Balls," to receive a bulk discount on 5 or 10 balls of yarn! 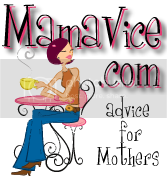 WAK was kind enough to extend a discount to The Blonde Blogger readers of 15%! Just enter WAKxBB15 upon checkout to receive your discount. Good through December 30, 2016. 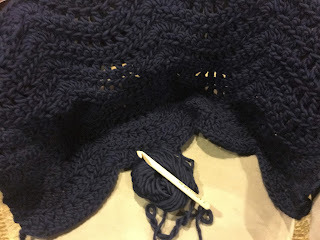 When I purchased The Wool in Navy for the afghan commission I am working on, I purchased a kit of 10 balls of The Wool, which saved me almost $50 right off the bat! Combined with my coupon code of 15% off, that saved me over $30 more! That is a STEAL for this high-quality yarn! 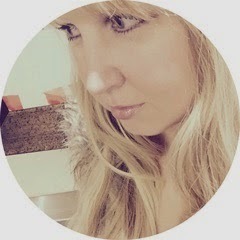 I will be sharing my progress on my various social media channels, so be sure to follow me on Twitter, Instagram (including Instagram Stories), SnapChat (@blonde_blogger), Pinterest, and Facebook (maybe even Facebook live) for sneak peeks along the way. You can also see the many gorgeous creations made with WAK yarn if you search the hashtag #WeAreKnitters on any social media platform. Also follow We Are Knitters' social media pages by following the links at the bottom right of this page. Now for the best part! Ready to find out what one lucky reader will win? I was going to wait until I finished the blanket and posted my results to do the giveaway, but who likes having to wait? Not me! So even though this post is already long and filled with lots of great info and pics about this fabulous yarn company, I'm not going to make you all wait any longer for the best part! You all have already been patient enough just waiting for me to post! So without further ado, I present the AMAZING prize that We Are Knitters is offering to one lucky reader of The Blonde Blogger! 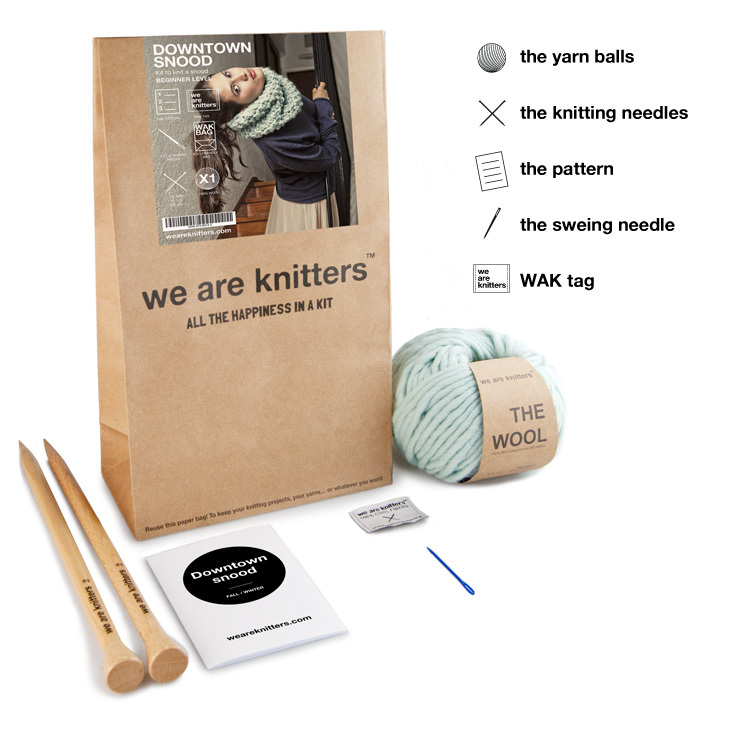 Remember all of the fabulous crochet and knit kits you checked out on WAK's site? And remember how I told you to choose your favorite one? Who's ready to get their crochet or knitting on?! 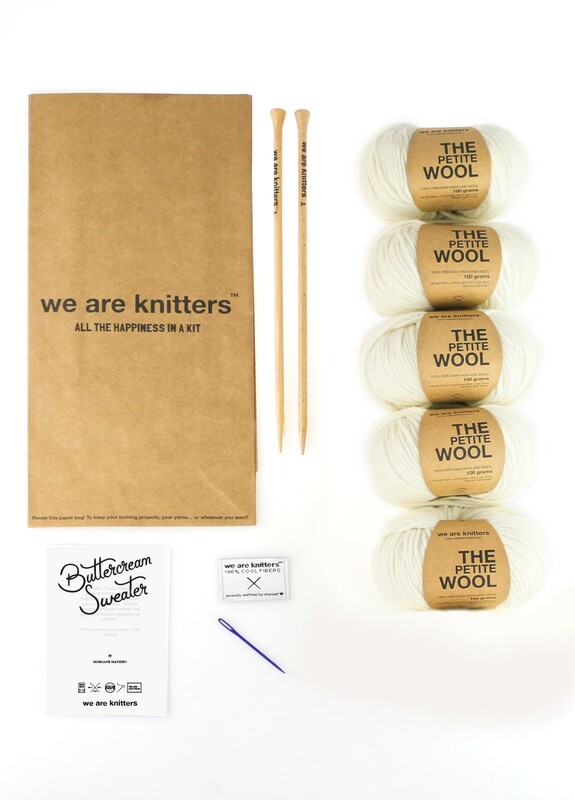 And who's ready to do it with the premium Chanel of Yarns, We Are Knitters?! FOR FREE! Get going and enter via the Rafflecopter widget below! The giveaway will run until Wednesday, December 7, 2016 at 12:00 am, EST. Winner will be notified via email and on The Blonde Blogger on the Rafflecopter widget. Winner has 2 weeks to respond to winning notification, or else they forfeit their prize and another winner will be selected. By entering, you automatically agree to all of the rules and disclaimers listed here. Please also see my disclosure policy here. Good luck! Very cool giveaway, I would pick the Callao Vest kit! The Davos Cardigan in Bordeaux is just what Mom needs. I've been looking for a good pattern for her as a Christmas gift, If I win I guess I'll pick her up a hoodie at the drug store for Christmas, then I'll have until Valentines day to finish this gorgeous sweater. 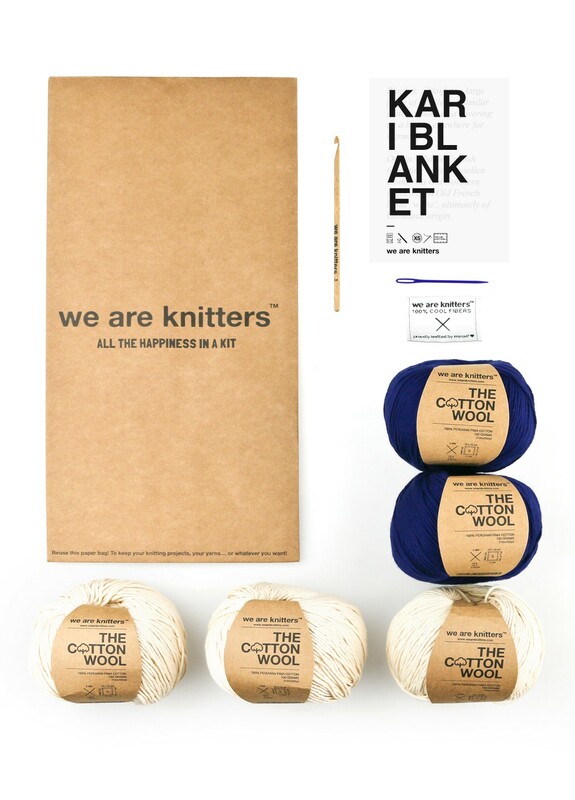 I've never heard of this shop but quickly fell in love with several of the kits and yarn. If I had to just pick one, I think I'd pick the kide sweater. I love the Samasana Blanket as well as the Clerkenwell Scarf and would love a chance at winning one of these - thanks for the giveaway! Catori kimono kit is great. I like the Dragonfly blanket. Love the Classic Sweater looks like something I could knit again and again. Love the Haptic Sweater w/o needles. I love knitting sweaters and this looks sooooo comfortable. I love the Clerkenwell Scarf! I love the Abruzzo Sweater! Typo, sorry. The bormeo sweater is my favorite, but it's really hard to choose! I like the Buttercream Sweater knit kit. I love the Hackney Cardigan kit! 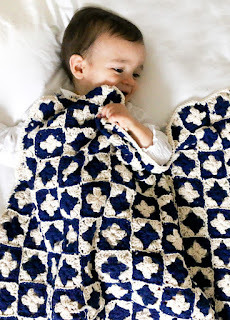 I love the Kari Blanket Crochet Kit.